The second round review rates Jamaica as partially compliant with the international standard. The 2013 Report contained recommendations concerning Jamaica’s legal framework on the availability of ownership and identity information for foreign companies, nominee shareholders and owners of share warrants to bearer issued by public companies. The 2013 Report also contained recommendations concerning the practical implementation of the legal framework, namely on penalties and enforcement actions under the commercial laws, mechanisms to ensure that identity of partners in a limited partnership and mechanisms to ensure that the settlors and beneficiaries of a trust is available. All of these recommendations remain applicable. Beneficial ownership information is available to some extent in Jamaica under the AML Regulations. However, in the case of companies and partnerships, these concepts cannot ensure the availability of beneficial ownership information in accordance with the international standard. In addition, beneficial ownership information of companies, partnerships and trusts is only available for those entities or arrangements with a bank account or engaging in business with a regulated entity. Accordingly, Jamaica should take appropriate measures to ensure that beneficial ownership information is available in line with the standard for all relevant entities and arrangements and for all account-holders. The availability of accounting information was supervised by the TAJ through their regular audit program and filing of annual tax returns. Although the tax filing compliance rates are low, it appears that TAJ’s audit programme is comprehensive and ensures to a large extent the availability of accounting information for all relevant entities and arrangements subject to supervision by the TAJ. Jamaica should put in place a comprehensive oversight programme to ensure the availability of accounting information for all relevant entities and arrangements in all cases. 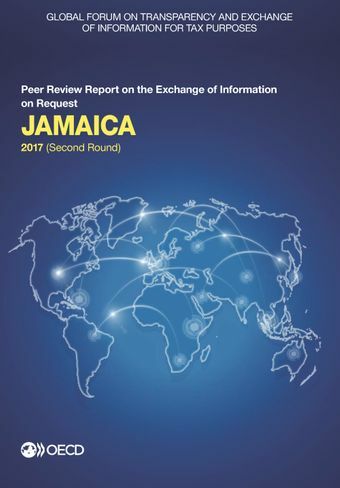 Despite the deficiencies identified regarding availability of ownership and accounting information, Jamaica has been able to provide all the requested information and its peers are very satisfied with the quality and timeliness of the information provided during the review period.